In today’s political climate, it is becoming increasingly obvious that work for environmental conservation and clean energy is a mission that will not be undertaken by the government. Rather, it is clearly up to the public and the private sector to take accountability for climate change and take appropriate action. Air transport is notorious environmentally unfriendly. Although recent innovations in aerospace such as NASA’s Pathfinder and Solar Impulse’s all-solar flight around the world provide some promise, solar powered commercial flight is still out of reach. Although these companies have not given a singular solution, they have given us hope that more environmentally conscious solutions are only a few resourceful engineers away. With this project, we could be those resourceful engineers. In order to not only foster interest in the wonder that is flight, but also in the potential of solar energy, the YUAA RC Solar Plane team, led by Veronica Boraytn ’20, will design and build a solar plane similar to Solar Impulse’s revolutionary aircraft. 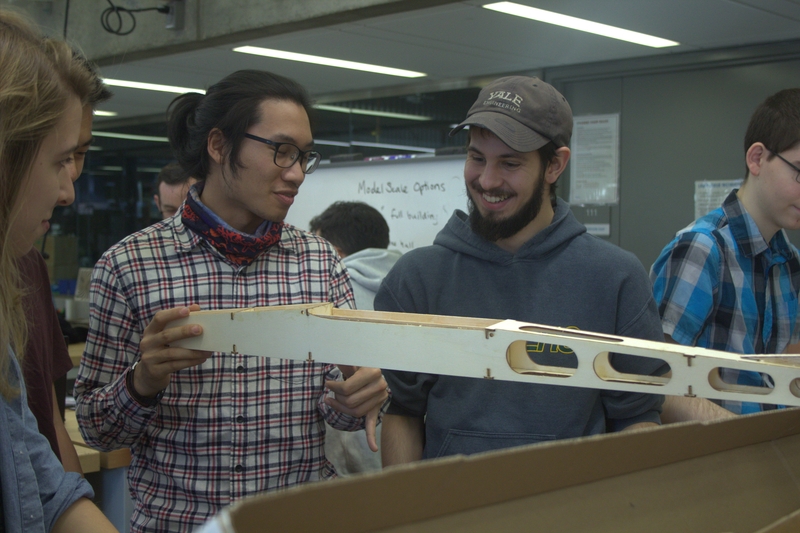 This project will give STEM and non-STEM majors alike a fundamental understanding of flight, aerodynamics, design, and solar energy as well as hard skills such as soldering, circuitry, and monokoting. There will be lots of hands on work, and once the plane is finished, there is infinite experimentation that can follow.